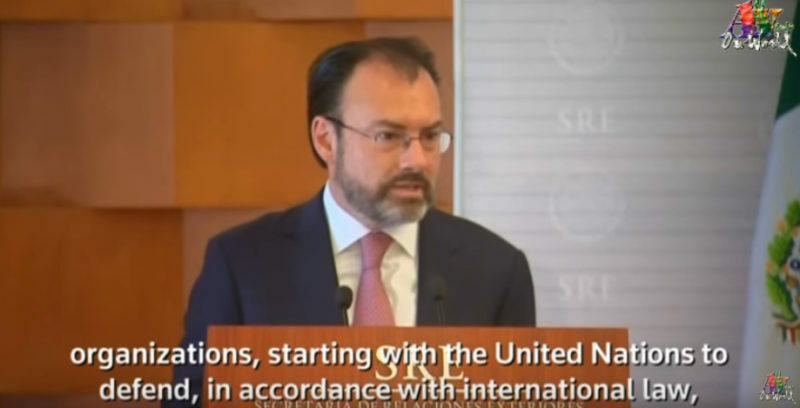 Mexico Says It “Will Not Accept” Trump’s New Immigration Plans, Vows To Retaliate By Going To The U.N.
Mexico sends the illegal immigrants from other countries that they don’t want to us, and we must foot the bill of getting them back to their country of origin. What’s wrong with that picture? This week, the Trump administration detailed new immigration plans that would expand the pool of immigrants eligible for deportation and offer more resources to agencies in charge of the crackdown. The new plans would also see the US deport immigrants to the country from which they arrived, regardless of their country of origin. This has drawn the ire of Mexican officials, who have worked closely with the US government in recent years to intercept migrants flowing through the country toward the US-Mexico border. Veteran WH Correspondent Accuses President Trump Of Using Racist Language... Only One HUGE Problem!